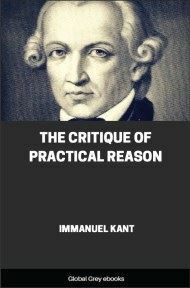 The Critique of Practical Reason is the second of Immanuel Kant's three critiques, first published in 1788. It follows on from Kant's Critique of Pure Reason and deals with his moral philosophy. Practical principles are propositions which contain a general determination of the will, having under it several practical rules. 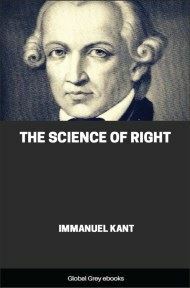 They are subjective, or maxims, when the condition is regarded by the subject as valid only for his own will, but are objective, or practical laws, when the condition is recognized as objective, that is, valid for the will of every rational being. Supposing that pure reason contains in itself a practical motive, that is, one adequate to determine the will, then there are practical laws; otherwise all practical principles will be mere maxims. In case the will of a rational being is pathologically affected, there may occur a conflict of the maxims with the practical laws recognized by itself. For example, one may make it his maxim to let no injury pass unrevenged, and yet he may see that this is not a practical law, but only his own maxim; that, on the contrary, regarded as being in one and the same maxim a rule for the will of every rational being, it must contradict itself. In natural philosophy the principles of what happens, e.g., the principle of equality of action and reaction in the communication of motion) are at the same time laws of nature; for the use of reason there is theoretical and determined by the nature of the object. 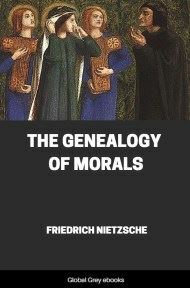 In practical philosophy, i.e., that which has to do only with the grounds of determination of the will, the principles which a man makes for himself are not laws by which one is inevitably bound; because reason in practical matters has to do with the subject, namely, with the faculty of desire, the special character of which may occasion variety in the rule. The practical rule is always a product of reason, because it prescribes action as a means to the effect. But in the case of a being with whom reason does not of itself determine the will, this rule is an imperative, i.e., a rule characterized by “shall,” which expresses the objective necessitation of the action and signifies that, if reason completely determined the will, the action would inevitably take place according to this rule. Imperatives, therefore, are objectively valid, and are quite distinct from maxims, which are subjective principles. 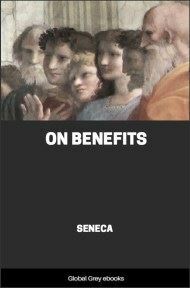 The former either determine the conditions of the causality of the rational being as an efficient cause, i.e., merely in reference to the effect and the means of attaining it; or they determine the will only, whether it is adequate to the effect or not. The former would be hypothetical imperatives, and contain mere precepts of skill; the latter, on the contrary, would be categorical, and would alone be practical laws. Thus maxims are principles, but not imperatives. Imperatives themselves, however, when they are conditional (i.e., do not determine the will simply as will, but only in respect to a desired effect, that is, when they are hypothetical imperatives), are practical precepts but not laws. Laws must be sufficient to determine the will as will, even before I ask whether I have power sufficient for a desired effect, or the means necessary to produce it; hence they are categorical: otherwise they are not laws at all, because the necessity is wanting, which, if it is to be practical, must be independent of conditions which are pathological and are therefore only contingently connected with the will. Tell a man, for example, that he must be industrious and thrifty in youth, in order that he may not want in old age; this is a correct and important practical precept of the will. But it is easy to see that in this case the will is directed to something else which it is presupposed that it desires; and as to this desire, we must leave it to the actor himself whether he looks forward to other resources than those of his own acquisition, or does not expect to be old, or thinks that in case of future necessity he will be able to make shift with little. Reason, from which alone can spring a rule involving necessity, does, indeed, give necessity to this precept (else it would not be an imperative), but this is a necessity dependent on subjective conditions, and cannot be supposed in the same degree in all subjects. But that reason may give laws it is necessary that it should only need to presuppose itself, because rules are objectively and universally valid only when they hold without any contingent subjective conditions, which distinguish one rational being from another. Now tell a man that he should never make a deceitful promise, this is a rule which only concerns his will, whether the purposes he may have can be attained thereby or not; it is the volition only which is to be determined a priori by that rule. If now it is found that this rule is practically right, then it is a law, because it is a categorical imperative. Thus, practical laws refer to the will only, without considering what is attained by its causality, and we may disregard this latter (as belonging to the world of sense) in order to have them quite pure. All practical principles which presuppose an object (matter) of the faculty of desire as the ground of determination of the will are empirical and can furnish no practical laws. 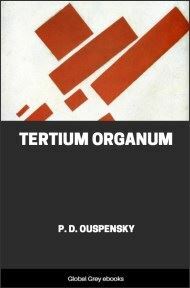 By the matter of the faculty of desire I mean an object the realization of which is desired. 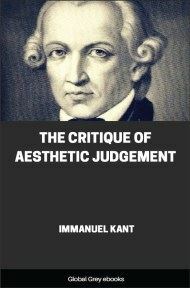 Now, if the desire for this object precedes the practical rule and is the condition of our making it a principle, then I say (in the first place) this principle is in that case wholly empirical, for then what determines the choice is the idea of an object and that relation of this idea to the subject by which its faculty of desire is determined to its realization. Such a relation to the subject is called the pleasure in the realization of an object. This, then, must be presupposed as a condition of the possibility of determination of the will. But it is impossible to know a priori of any idea of an object whether it will be connected with pleasure or pain, or be indifferent. In such cases, therefore, the determining principle of the choice must be empirical and, therefore, also the practical material principle which presupposes it as a condition.